Remember those cute little notes from grade school? Do you love recording and making music? Do you make time for it? If the answer to #2 is no, then revisit #1. I can’t tell my wife I love her and never spend time with her. If you don’t want to make time for music, that’s completely fine. I won’t hold that against you. But don’t tell me how you’re absolutely passionate about making music, but you just don’t have time for it. If you love it so much, make time for it. And no, I’m not advocating deserting your family and children and responsibilities. There are other things you can give up: Facebook, YouTube, TV, an hour of sleep. The time is there. You’re just currently giving it to something else. P.S. Here’s a great way to force yourself to make time for music (and to put your money where your mouth is). 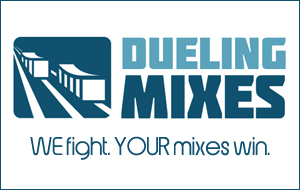 Sign up for Dueling Mixes. There’s something about actually investing money in your passion that makes you much more likely to follow through on it. Sign up. Download the tracks. Schedule out your sessions. You’re gonna love it.